Wine bars are the new trend in Morocco. These new and upcoming Wine Bars offer a nice reprise for expats, travelers and those interested in a more local scene when traveling or living in Morocco. Wine bars in Morocco also offer a nice balance of wines ranging from imports to local Moroccan specialities along with light fare. With all the new craze in the USA and Europe – and some with a long trend of unique wine bars, Moroccan cities are at the forefront offering up some truly charming wine bars for those who want to expand their pallet and enjoy the new cities after sunset. The Wine bar at the El Minzah hotel on the edge of the medina in Tangiers is decorated with the photos of stars who stayed at the historic El Minzah founded by the Marquis of Bute in the 1930’s and ate in the wine bar. Tangiers enjoyed an international reputation with the rich and famous and writers and artists during this period and with the photos of past movie stars and personalities such as Sir Rex Harrison, Rita Hayworth, Rock Hudson, Jean Claude Van Damme, Jacques Cousteau and many others, you can relive the city’s glittering past glories as you wine and dine. An impressive wine list is accompanied by excellent cuisine . Start with a drink in the Caid’s bar which has an imposing picture of Caid Sir Harry Maclean who commanded the Sultan’s army. 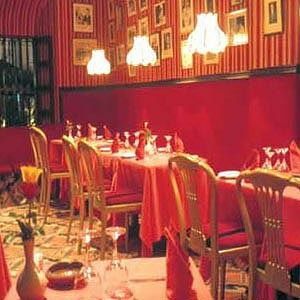 In Casablanca Bistrot Chic Casablancais is a brasserie serving modern French cuisine with tapas and home made desserts. The restaurant has a floor where a wine bar is located on 8 rue Taha Houcine and French cheeses are served, diners can choose their own wine from the cellar. The Riad Fes , 5 Derb Ben Slimane Zerbtana,Fes is renowned for its luxury, impeccable service and fine restaurant. Its Andalous pavilion and lounge .Its wine bar offers great wines from Morocco to satisfy the most discerning wine lovers. It overlooks the swimming-pool and its green walls. The black glass tables and the gray Tadelakt walls provide a clear modern architectural back drop to the discovery of Morocco’s best wines. Meknes is Morocco’s wine capital and the surrounding countryside has many fine vineyards. The largest of these is Les Celliers de Meknes which has achieved international recognition. Morocco has excellent reds, rosés and some fine white wines and sampling them is an important part of experiencing Moroccan cuisine. Meknes has the Bistrot Art et le wine bar located at the Hotel Transatlantic which is well known for its excellent cuisine. Marrakech has a new wine bar at 68 rue de la Liberte called Cheese Me. It can be quite difficult to find good cheese in Moroccan restaurants so this is a really welcome addition to the Marrakech restaurant scene. 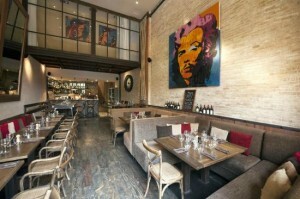 A stylish modern décor is matched by a friendly welcome and an excellent menu of cheeses and wines. 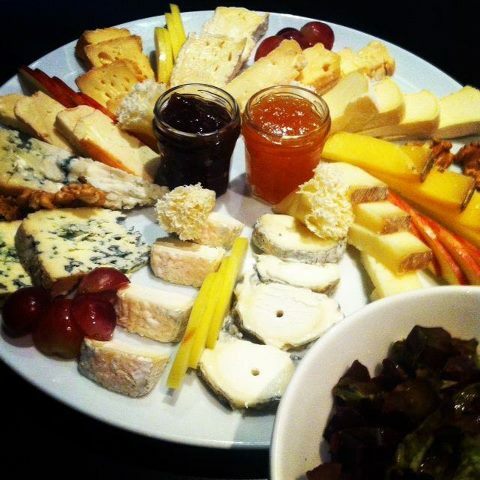 You can select various options such as tapas and different selections of cheese with a very generous cheese platter. Wines are available by the glass or the bottle. Loft, also located in rue de la Liberté in Gueliz in Marrakech, is a relaxed and stylish venue influenced by New York and Paris where one can sample the wine on the terrace or at the bar, or enjoy the excellent and reasonably priced international and French cuisine.